This topic covers Melbourne Hotels and Motels accommodation. From Melbourne's most historic & beautiful hotels located in the city centre to budget accommodation in Melbourne's suburban motels. More Flash, Less Cash - Take advantage of our Best Price Pledge* (even on luxey stays) We keep it easy - No lastminute.com.au cancellation fees, plus the option to pay now or later Book up 'til .. The Seafarers project, which includes a redevelopment of historic Goods Shed No. 5 and restoration of a crane, will include 1 Hotel including 140 luxury residences due to open in 2022. A nature-in .. 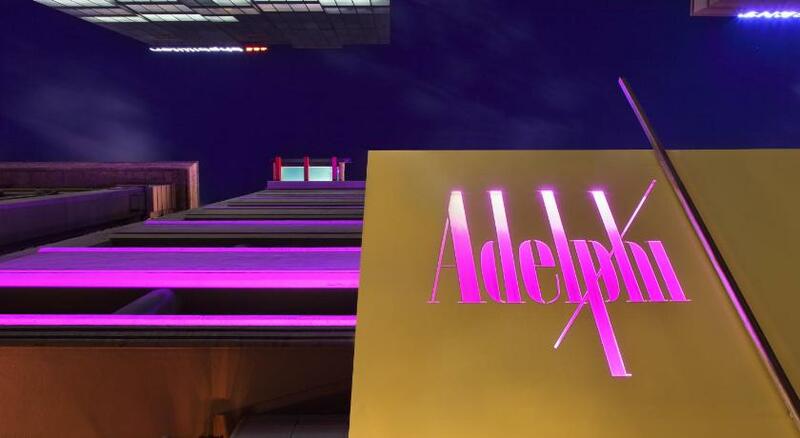 Situated in the heart of the vibrant Flinders Lane shopping and dining precinct, Adelphi Hotel boasts free Wi-Fi, free local phone calls and free in-room snacks and refreshments. Conveniently locat ..
A relaxed and spacious, tranquil riverside oasis just a stones throw from Melbourne's cultural and shopping heart, with 111 guestrooms and apartments, a restaurant, bar/cafe, leisure facilities close .. Inspired by and dedicated to Australian contemporary artists, Art Series Hotel Group offers a hotel experience a little extraordinary. Each hotel takes design inspiration from the namesake artist. 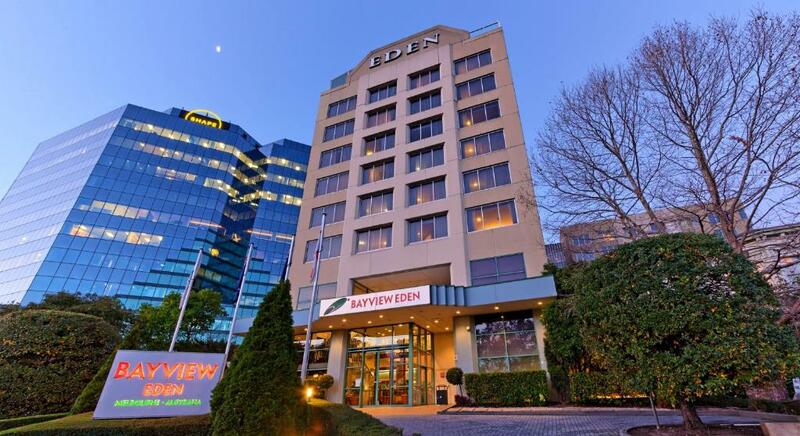 ..
Bayview Eden Melbourne is located next to the beautiful Albert Park Lake and Golf Course. There is an indoor heated pool, hot tub, sauna and fitness center. Each of the modern stylish rooms offers LCD .. Situated on the fringe of Melbourne's city precinct, adjacent to Albert Park Lake and golf course, Bayview On The Park provides the perfect location for business or leisure. 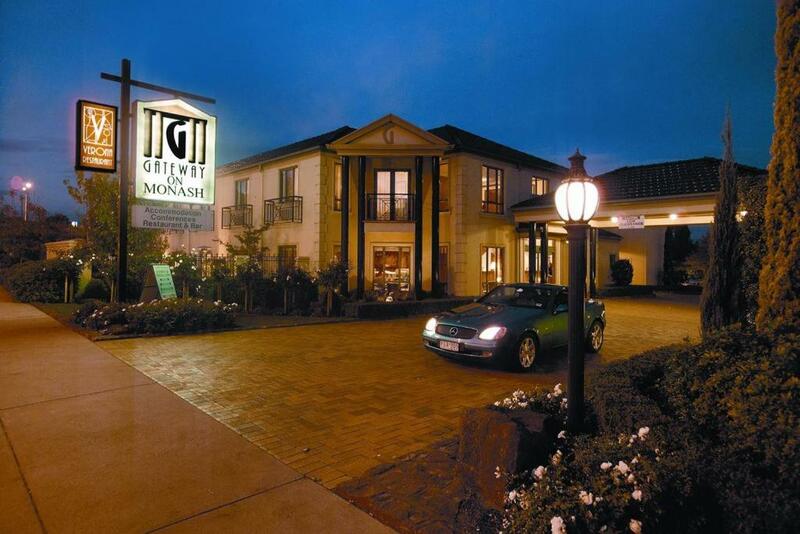 Property Highlights: ..
A Boutique Hotel, is a hotel located in the heart of the Eastern Suburbs. The Beau Monde International is a stylish venue with four function venues catering for up to 200 guests and 34 onsite accom ..
Bell City is based in the heart of Melbourne's vibrant inner north, just 20 minutes from Melbourne Airport and the CBD. Whether you're travelling in style or on a budget, looking for longer-term accom .. The BEST WESTERN PREMIER Hotel 115 Kew is a full service hotel that provides its guests with the convenience of a concierge, 24-hour reception, 24-hour room service and valet parking. 115 Grill & .. Located on Little Collins Street in Melbourne CBD, Causeway 353 Hotel offers stylish modern rooms with LCD TV, en suite bathroom and air conditioning. Facilities include a fitness centre, a steam room .. 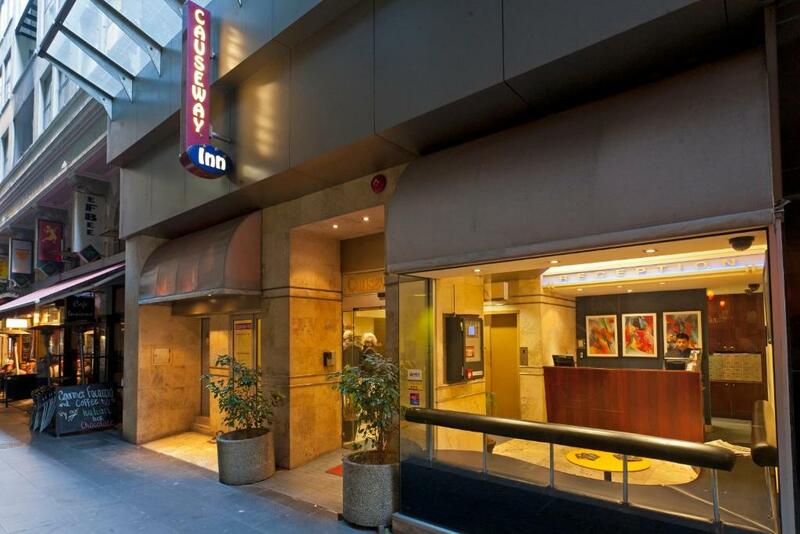 Located right on Bourke Street Mall, Causeway Inn is great value. Every room at this hotel is air conditioned and is equipped with a flat-screen TV. You will find a kettle in the room. Each room i .. 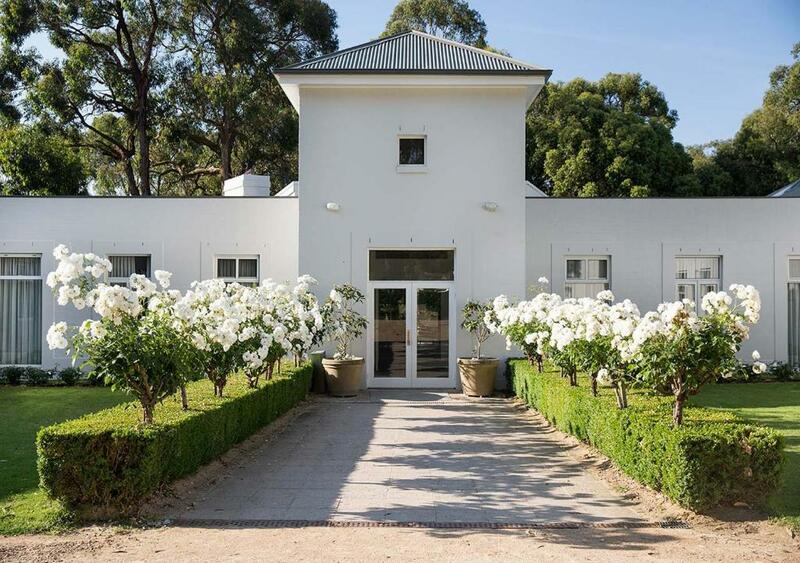 In the heart of the Yarra Valley lies iconic Chateau Yering. The historic homestead was reborn in 1997 as a gracious five-star property. Featuring elegant period fittings throughout, the hotel .. The 4� star Chifley Doveton is located in Dandenong, approximately 30 kms South-East of Melbourne CBD. 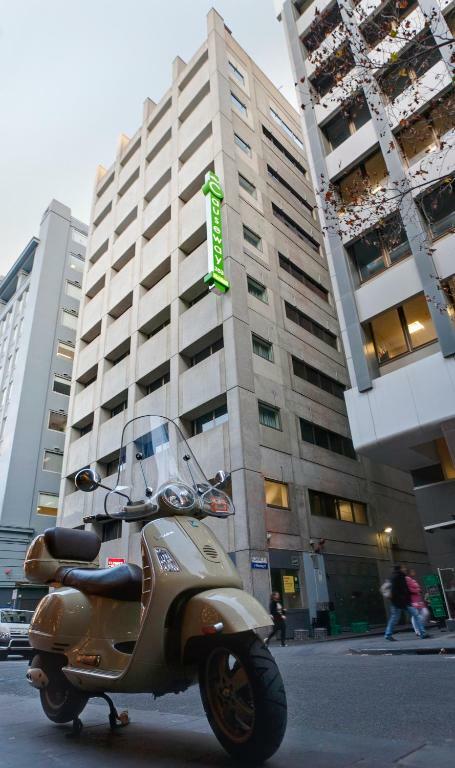 Ideally located at the junction of the Princes Highway and South Gippsland Freeway, the hotel ..
Offering modern apartments in the heart of Melbourne CBD, this award-winning 4.5-star property is only 200 m from Chinatown. Guests enjoy an onsite Japanese restaurant, free in-room WiFi, an indoor sw .. Whether you are here for business or pleasure, you will find Citiclub Hotel is the answer to your accommodation needs. With 71 rooms varying in size, view and style our rooms are equipped with all ..
Old World Charm, 21st Century Outlook. Elegant and sophisticated. Dramatic and memorable. Enjoy the luxury of our 72 rooms and suites, dine in the distinctive Oliver's Restaurant, or the relaxed At ..
Crown Metropol is located next to the Crown Entertainment Complex, and opposite Melbourne Convention and Exhibition Center. Crown Metropol Melbourne features an unparalleled luxury hotel experienc .. 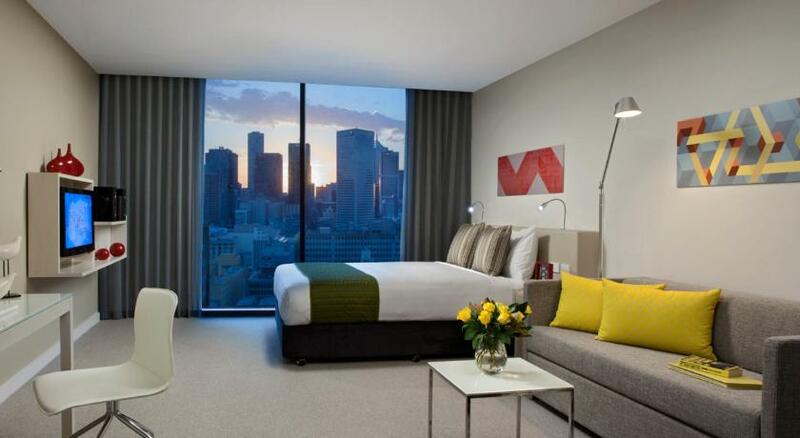 Located in the bustling Southbank, Crown Promenade delivers stylish, modern luxury accommodation to Melbourne. Just moments from Melbourne's CBD, guests are invited to take full advantage of the conte ..
With an impressive 5 star rating, Crown Towers sets the benchmark for luxury hotels in Melbourne. Rising above Melbourne's vibrant Southbank precinct, Crown Towers offers spacious luxury rooms wit ..
Crowne Plaza Hotel Melbourne is a 4 � star hotel in Melbourne city, located on Spencer St on the fringe of the CBD. Just a short stroll to Crown Casino, Docklands and South Wharf, Crowne Plaza Melbour .. Whether you want to eat, drink, play, or just relax you'll find the Dingley International Hotel the perfect destination. Located just 25 minutes from the Melbourne CBD in the heart of Melbourne's worl .. The Quality Hotel Downtowner on Lygon is a brilliantly located 4 star rated Melbourne hotel. It is situated in a central cosmopolitan location, right amongst the action. It is only a short walk or ..
Four Points by Sheraton Melbourne Docklands is connected to Marina Tower, the 'leaning tower of Melbourne' comprises two residential towers and a 7-storey hotel tower. So much more than a four-sta ..
Gateway on Monash features a fitness centre, an outdoor pool and a spa. All rooms include a 2-person spa bath and flat-screen digital TV. Guests enjoy a restaurant, a bar and free on-site parking. It .. This quality property features the best of 5 star facilities & was inducted into the Australian Hall of Fame for best International deluxe hotel. 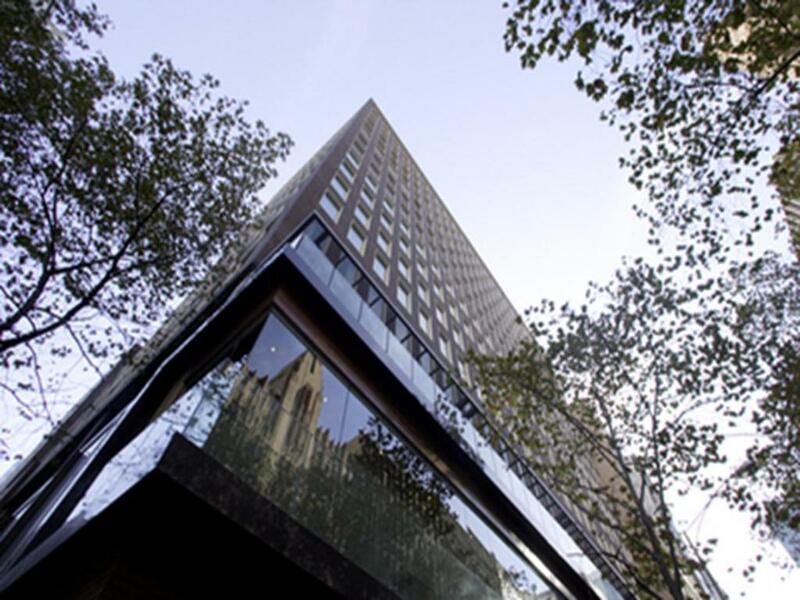 Grand Hyatt Melbourne offers 547 guest rooms, incl .. Located in Melbourne's CBD, on the corner of Flinders Lane and Spencer Street, this hotel offers a heated outdoor pool, a sauna, a garden terrace and a fitness centre. All rooms have a flat-screen TV ..
Hotel Causeway is located in Melbourne, just 201 m from Regent Theater. A flat-screen TVwith cable channels, as well as an iPod docking station are featured. 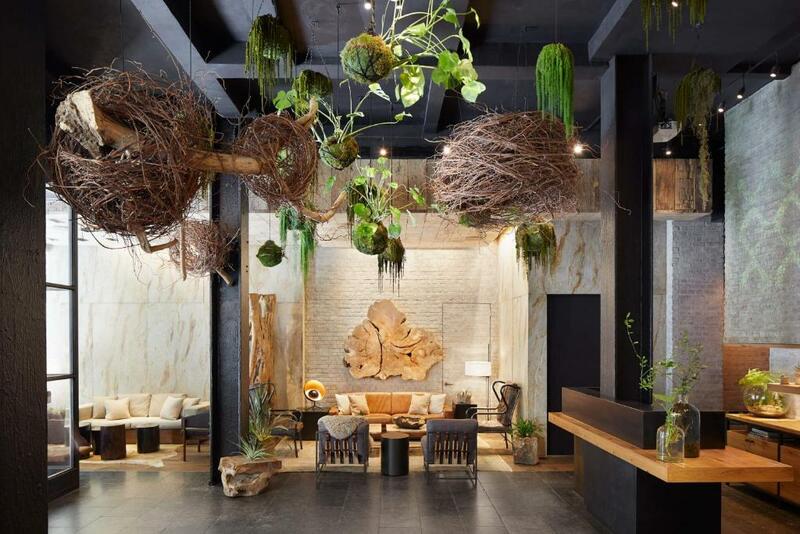 Certain accommodations include a sittin ..
Hotel Lindrum Melbourne - MGallery by Sofitel Hotel Lindrum Melbourne is a unique 59 room boutique hotel that combines modern design with the ultimate in contemporary facilities and personalised s .. Unique Melbourne hotel perfect for business or pleasure It's not your typical hotel setting, but this isn't your typical Melbourne hotel. Hotel Urban St Kilda is our quirky Melbourne property situa ..
Offering great value city accommodation, Ibis Melbourne is located in an ideal position just a few minutes walk from the famous Queen Victoria Markets, the legendary Lygon Street restaurant quarter an ..
One of Melbourne's most historic & beautiful hotels located in city centre. 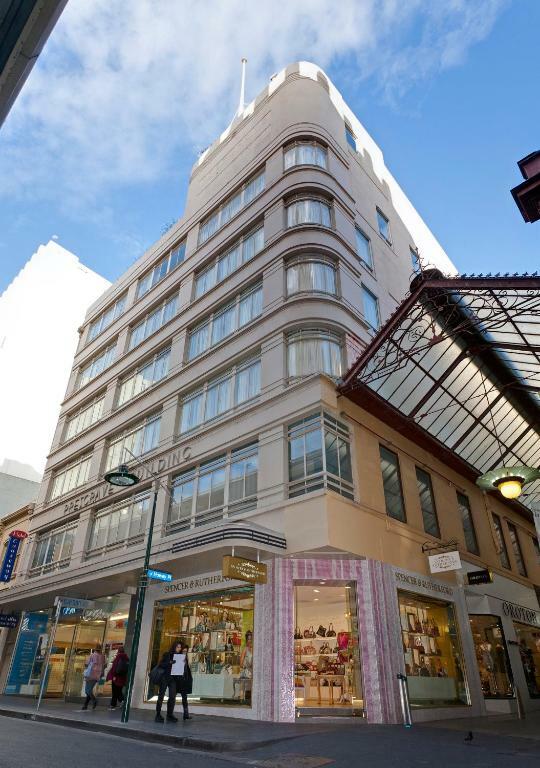 A Victorian Gothic facade introduces this landmark hotel in the heart of Melbourne's commercial district. Luxury mod .. This stylish boutique hotel offers 4-star accommodation in Melbourne CBD, in the heart of the Market Precinct, just 450 m from Queen Victoria Market. It features an art gallery, Wi-Fi and conference f ..
Lancemore Hill at Macedon Ranges When you're surrounded by 274 acres of Australian bush in Victoria's incredible Macedon Ranges it is hard not feel a powerful sense of purpose and place. Locate .. The most admired of luxury Melbourne Accommodation Within the Langham Hotel Melbourne you will discover a world of modern yet timeless elegance. The Langham is lauded among luxury Melbourne acc ..
More hotels than you'll ever need. Across Australia. Book now, pay when you stay Over 2 million genuine guest reviews to help you choose Book 24/7 - online or over the phone. No booking or c ..
Get the celebrity treatment with world-class service at Lindenderry at Red Hill Featuring free WiFi, a restaurant and a terrace, Lindenderry at Red Hill offers accommodations in Red Hill, just 25. ..
Get the celebrity treatment with world-class service at Lindenderry at Red Hill Featuring free WiFi a restaurant and a terrace Lindenderry at Red Hill offers accommodations in Red Hill just 25.7 k ..
Set amongst 10 acres of beautiful gardens, Mansion Hotel offers contemporary accommodation with garden views. 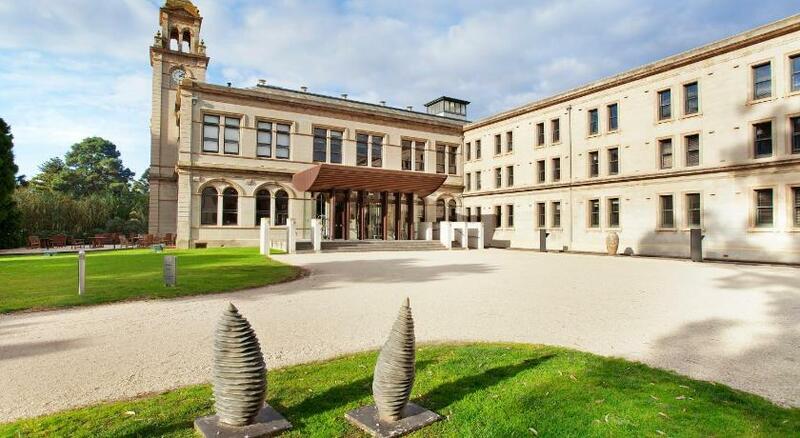 It features a day spa, an indoor swimming pool and a European restaurant. Mansion Hotel .. In the heart of Melbourne, Mantra on Russell provides self-contained accommodations with flat-screen satellite TV. The property features a heated swimming pool, a fitness center and a hot tub. Mant ..
Mantra Tullamarine Hotel is a 4.5 star hotel, conveniently located a short five minute drive from Melbourne Airport, the gateway for air travel in Victoria. The hotel is also within close proximity to .. The Marriott Melbourne Hotel is your home in Melbourne focused on five star service and style. With 185 spacious guest rooms and suites, dedicated executive services, state of the art conference a ..
NO booking fees, NO Cancellation fees and only pay when you stay at the Hotel! Guaranteed Best Prices and Availability for your Melbourne stay! 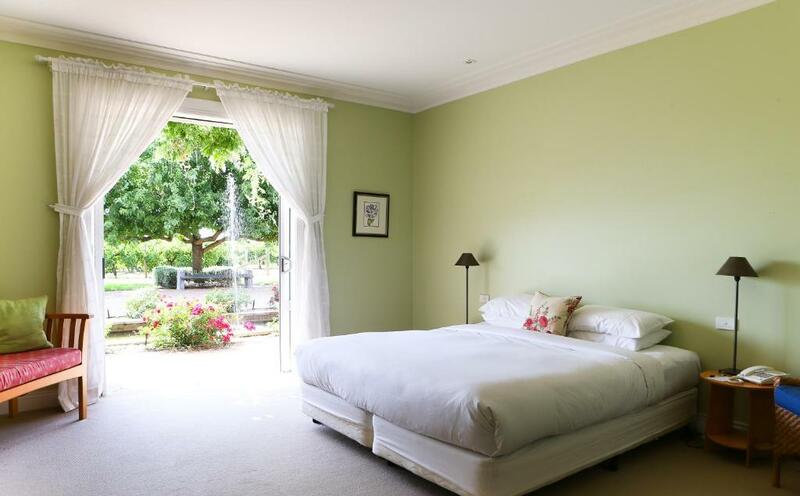 Fast book hotel rooms online at the lowest rates ..
Set on 3 hectares of manicured gardens, alongside an ornamental lake, the 4-star Mercure Ballarat Hotel & Convention Center features an outdoor swimming pool, a bistro, bar and a lounge bar. Guests al ..
Mercure Melbourne Treasury Gardens has an ideal city location, within walking distance to Melbourne's premier sporting venues, the MCG, AAMI Park, Rod Laver and Hisense Arenas. Located within a short ..
With a convenient location only 1.5 kilometres from Melbourne CBD, Mercure North Melbourne offers executive and holiday travellers the best of both worlds - effortless access to city centre attraction .. The Mercure Welcome Melbourne is located in the very heart of Melbourne, surrounded by the city's most popular shopping precincts, theatres, galleries, bars and restaurants and just metres from vibran ..
4 stars Nova StarGate Apartment Hotel offers modern apartment-style accommodations in the heart of Melbourne CBD. Nova StarGate is located behind the Queen Victoria Market. It is a 5-minute wal .. Welcome to Novotel Melbourne Glen Waverley, now offering a contemporary new design with new advances in in-room technology. Offering 200 stylish room accommodations in Melbourne, Australia, Infus ..
A 4 star hotel in the heart of Melbourne, the contemporary Novotel Melbourne on Collins is perfectly positioned on stylish Collins Street. Be it the diverse range of heritage listed buildings, theatre .. Located in the historic South Wharf Promenade in Melbourne, the four-star Novotel Melbourne South Wharf was built in 2017. The hotel is complemented with direct access to the Melbourne Convention .. Located in a picturesque, seaside suburb of Melbourne, the 4 star Novotel Melbourne hotel in St Kilda is the city's premier beachfront hotel. Situated only 6km from the city centre and 28km from Melbo ..
New York-style Hotel Apartment Melbourne Accommodation in the heart of the CBD Occupying an enviable locale in Melbourne's bustling city hub, Oaks on Collins presents travellers with a stylish urba .. Located in the heart of Melbourne CBD, Oaks on Market offers accommodation with kitchenette facilities and 32-inch flat-screen cable TVs. The hotel features a swimming pool, a hot tub and a sauna. Gue ..
A backdrop of inspiration, romance and country splendour. Oscar's is a tranquil boutique hotel originally built in the 1920s where elegance blends with modern comforts. Superb cuisine with restaur ..
Pan Pacific Melbourne features 396 luxury hotel rooms and suites, with floor to ceiling windows that offer panoramic views of the Yarra River, Port Phillip Bay and city, complete with thoughtfully app .. This 5-star hotel offers an award-winning restaurant, luxurious accommodation and spa facilities, just 1.5 km from Melbourne's city centre. Princess Theatre is 5 minutes' walk away. Park Hyatt Melb .. Enjoy living close to the heart of the city without giving up the quiet surroundings of a peaceful gardens environment. Park Squire Motor Inn and Serviced Apartments provide an unequalled combinati .. The Peter Lalor Hotel in Ballarat is situated in Central Ballarat and offers Budget Accommodation. The Peter Lalor Hotel offers their guests a friendly atmosphere with Dinning Room and Bistro area. .. The Plough Hotel is a Boutique Hotel offering the personalized service and attention every traveller seeks when away from home. We are located only 5.5 km's from Melbourne's CBD, two minutes from F ..
Princes Park Motor Inn offers 4 star accommodation near the Melbourne CBD with free car parking. Ideally located on the city edge with the picturesque Royal Parade as a beautiful backdrop, the ele ..
Pullman Melbourne Albert Park is perfectly placed for discovering Melbourne's rich restaurant, shopping & cultural scene. 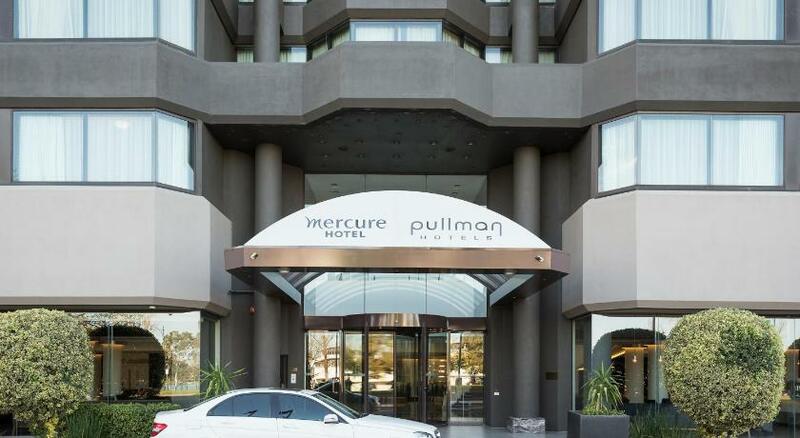 The hotel overlooks picturesque Albert Park, but for one week of the year, ..
Pullman Melbourne Albert Park (ex Hilton On The Park) Hotel Pullman Melbourne On The Park Room Rates | Availability | Book Online Situated in East Melbourne, Pullman Melbourne On the Park offer .. Inspired by the rag traders of the early 1900's in nearby Flinders Lane, and the French fashion influence on the 'Paris end' of Collins Street, QT Melbourne is Melbourne's new boutique hotel. We're ..
Batman's Hill on Collins is located in the heart of Melbourne, across from Southern Cross train station. It offers 2 stylish restaurants and 2 bars, plus 24-hour room service. All air-conditioned r ..
Queenscliff has a range of fantastic accommodation options in Queenscliff, Point Lonsdale and the surrounding area. Your stay could be in a cosy B&B, a beachside holiday house, holiday resort park ..
33 Spencer Street, Melbourne Be enchanted by this Melbourne hotel and apartment accommodation in the heart of the city. Quest Grand Hotel Melbourne is a historic Melbourne icon, offering fully .. This modern, 4.5 star hotel in central Melbourne is across from the Flagstaff Gardens and Flagstaff Garden Metro Station. It has a gym, a steam room and a hot tub. The rooms at the Radisson On Flag .. The Rendezvous Hotel Melbourne and is one of the few historic and grand hotels in Australia. Built in 1912, this meticulously restored hotel retains the elegant style of the early 1900s while prov ..